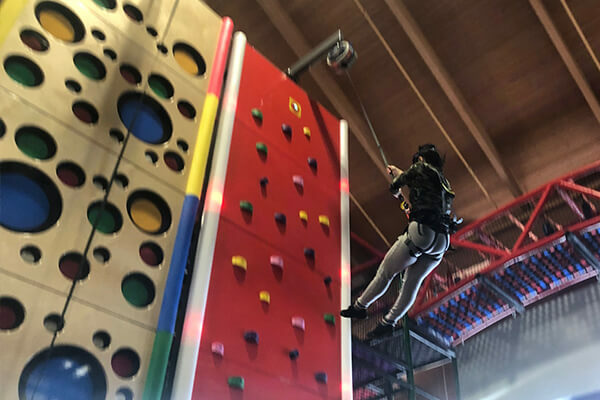 Welcome to Click ‘n Climb Challenge Walls at the Wilderness! 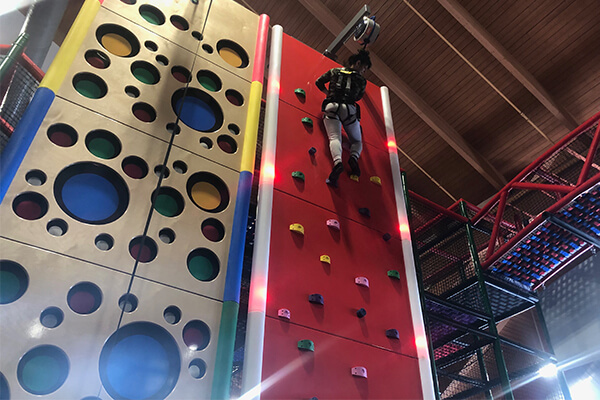 Located in the Wild West region of the hotel by the Timberland dry play feature, there are three new climbing walls, each 2 1/2 stories tall! The Circuit Breaker, which has a tech feel with lights featured throughout connection lines and handholds. Participants may choose either the round flashing holds or solid square holds to reach the top. 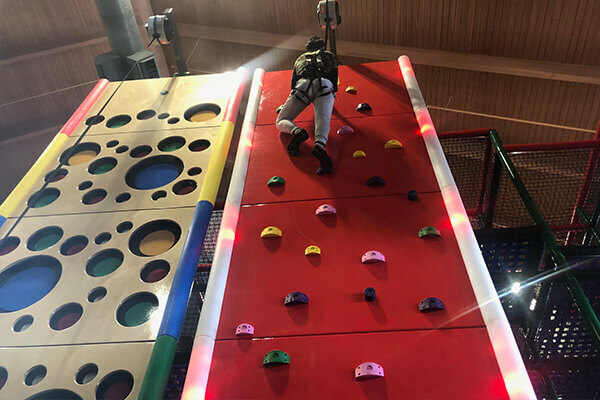 The Speed Climb, which is intended for the naturally competitive and encourages climbers to race to the top as fast as possible. The LED lights in the corners and timer help create a fast-paced, high-energy experience for participants. 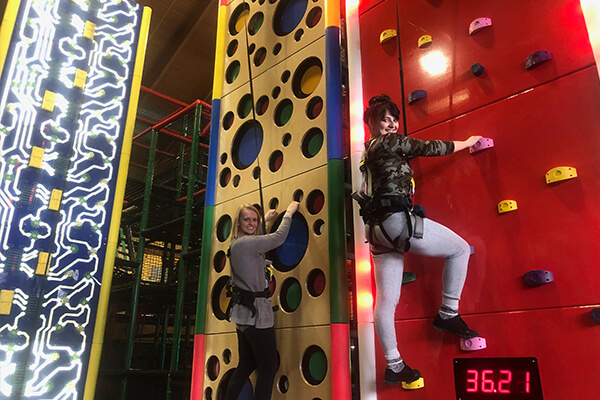 And, The Big Cheese, which offers a fast challenge, participants must reach the top before the countdown clock runs out. The adjustable clock and optical sensors task participants with trying to gain points by “capturing” the sensors on the interchange symbols. 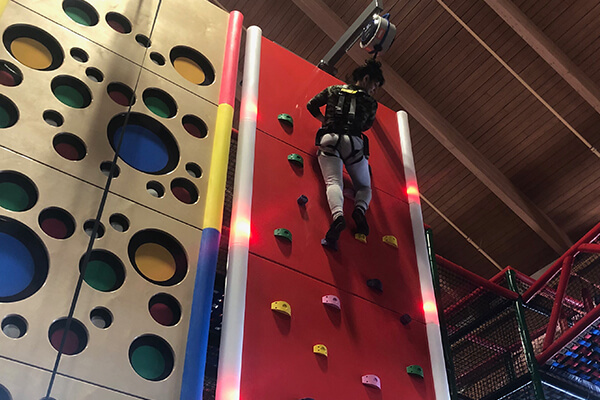 $5 each or 3 climbs for $12 (plus tax). Cell phones are NOT permitted on the attraction. Follow all operator instructions, posted rules signs and stickers. Remove all jewelry, eyeglasses should be secure. No gum, food or drinks allowed on the attraction. No running jumping, or horseplay. Do NOT climb until you are clipped into the Auto Belay.